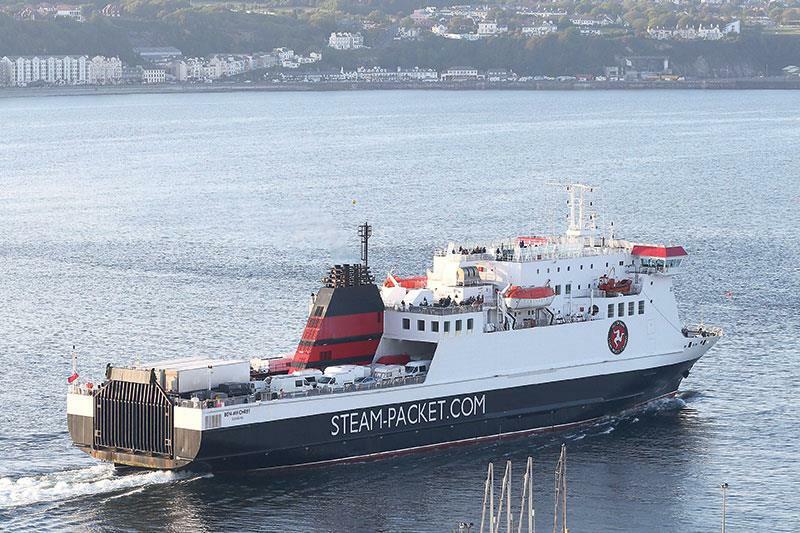 For most TT goers, their first experience each year in the Isle of Man pilgrimage is via the Steam Packet ferry. The company transports almost three quarters of all bikes and visitors that cross the Irish Sea each year. The TT is a magnet for more than 36,000 visitors, with over 14,000 bikes and 4500 cars and vans expected this year. That represents a huge surge in traffic, double the number of passengers and cars in a normal week when there wouldn’t be even a fraction of that number of bikes on board. The responsibility for making sure everything goes smoothly is Shore Operations Manager, Wayne Lisy. 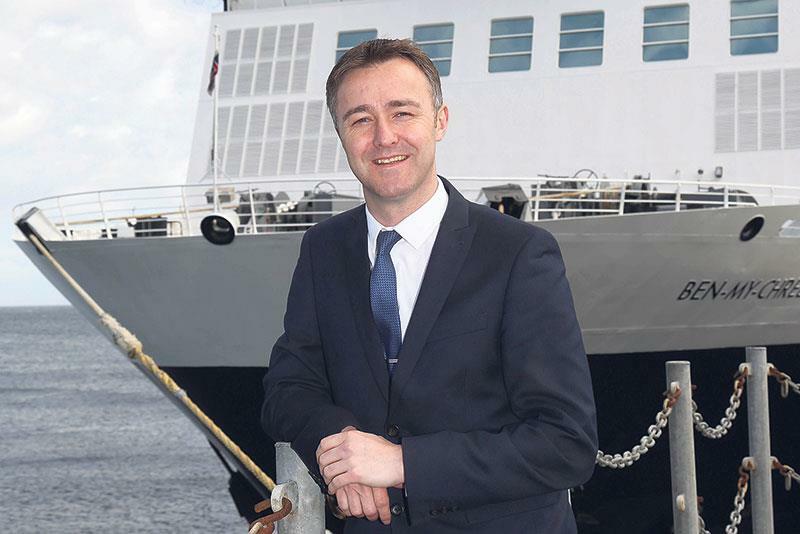 The baby-faced executive has worked for the Steam Packet for an implausible 21 years and has held his current role during the past three TTs. A keen race fan, Lisy now has little time to watch the action as he is on call 24 hours a day. “I am in constant contact with all of the ports to check schedules are being delivered and turnaround times are being met,” the Castletown man explains. As a Manxman he is still determined to squeeze in a little bit of TT action in spite of the pressures. “I watched my first TT as an infant at Ballacraine with my Dad and I still try to get along to watch but I have to stay on the outside of the course so that I can get back to the Sea Terminal in a hurry if I need to!” he explains. The Steam Packet’s TT plans are months in gestation with the 2017 TT operation already underway and bookings being taken from May 30. “If you didn’t have all your planning sorted way before TT started you wouldn’t stand a chance,” Lisy smiles. Most of the bikes come through Liverpool, with a new deck having been added to the Mannanan fast ferry to hold the ever-increasing numbers. The conventional Ben-my-Chree, carrying the larger vans and trailers, departs from Heysham, up the road from John McGuinness’s Morecambe home. As a youngster the 23-times winner used to sneak on board between the vans on his pushbike for a day of watching his heroes. An additional freight vessel has been chartered to handle the extra demand this year and there are also sailings from Belfast and Dublin for Irish fans. Race fans often complain about delays and the cost of the ferry journey but Lisy is adamant that the delays in recent years have been ‘minimal’. “We do ask people to check in earlier than normal because we need more time to secure so many bikes,” he says. He also refutes any suggestion that fares are hiked up for the TT festival. In spite of these campaigns, the hotspot for TT travel remains the opening race weekend. The Steam Packet recently announced that passenger numbers were actually down 5% for this year compared with 2015, although the number of bikes being ferried over is up by a couple of thousand. “There is still capacity to get here for the second half of race week and there is still a lot of capacity for foot passengers,” Lisy explains. That’s because the most hectic travelling day is the Saturday after Friday’s Senior race. “The whole world wants to go back on that Saturday!” Lisy smiles as he recalls some of the tall tales he has heard from those desperate to get home after TT fever has hit saturation point. Tall tales aside, the Steam Packet is always happy to try to accommodate special requests, especially from racers. “Not mentioning any names but we had a top racer who jumped ship so to speak mid-TT last year and we got an urgent call to help get his replacement machines and engines here at the last minute,” Lisy smiles. Sometimes going behind the scenes can be the most interesting thing you can do.